I saw a quote on a card somewhere and thought, I should make a card myself with so I di! Yay Computer and fancy fonts! 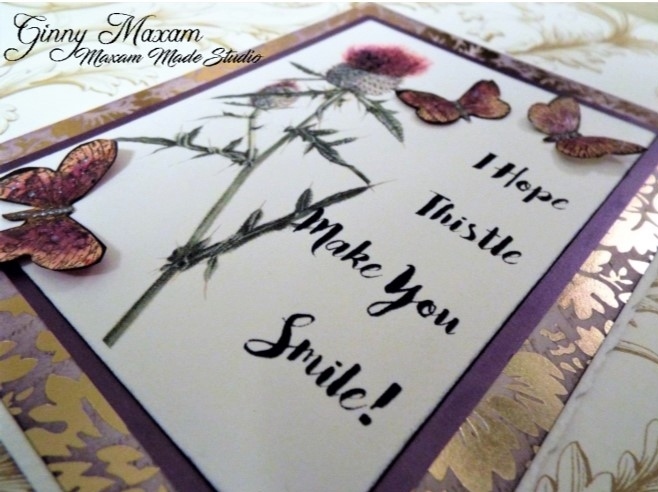 I created the thistle from a vintage botanical picture and added the fun font. How sweet of your to share your creation! Love how you accented it with butterflies on your card! 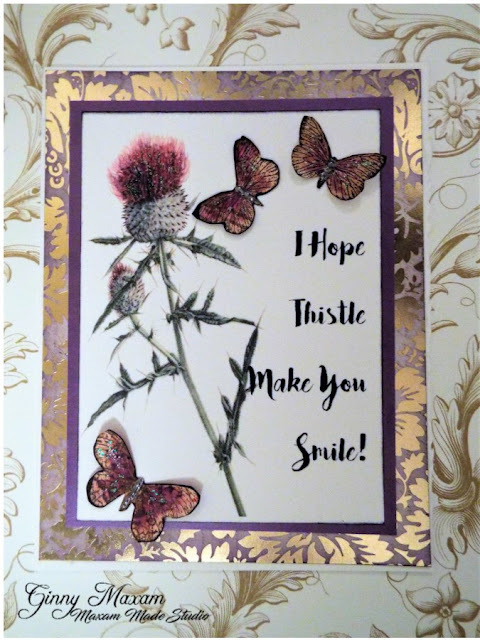 Thank you for the freebie Ginny, and your card is absolutely gorgeous, and gave me a gentle smile at the pun - I love a good pun.